Joydeep Mukherji pointed me to an article in Mint which points out that India's share in the global currency market has risen from 0.3% in 2004 to 0.9% in 2007. This is based on some interesting BIS data. This is consistent with India's remarkably rapid globalisation in recent years. Of course, this number of 0.9 still lags India's GDP share. The MIFC Report has argued (Table 4.11, page 64) that for India to be considered a minimal IFC player, 5% of the world's currency trading has to be here. So the share of currency trading in India needs to grow by five to six times in achieving a minimal role in the global financial market. The denominator - global currency trading - is pretty big. The global market runs at $3.2 trillion a day. BIS places India at $34 billion a day in 2007. If India were at a 5% market share, this would be $160 billion a day. As an aside, any wise and experienced market manipulator will tell you that it's pretty hard to manipulate a market which does turnover of $34 billion a day. So it's not surprising that the RBI is finding the going difficult. The big weak link in Indian finance today is the lack of a properly functioning Bond-Currency-Derivatives nexus, the integrated system of spot and derivatives market (both exchange-traded and OTC) on currencies, bonds and credit risk. All these building blocks need to have liquidity based on speculative price discovery, and all of them need to be tightly integrated by arbitrage. 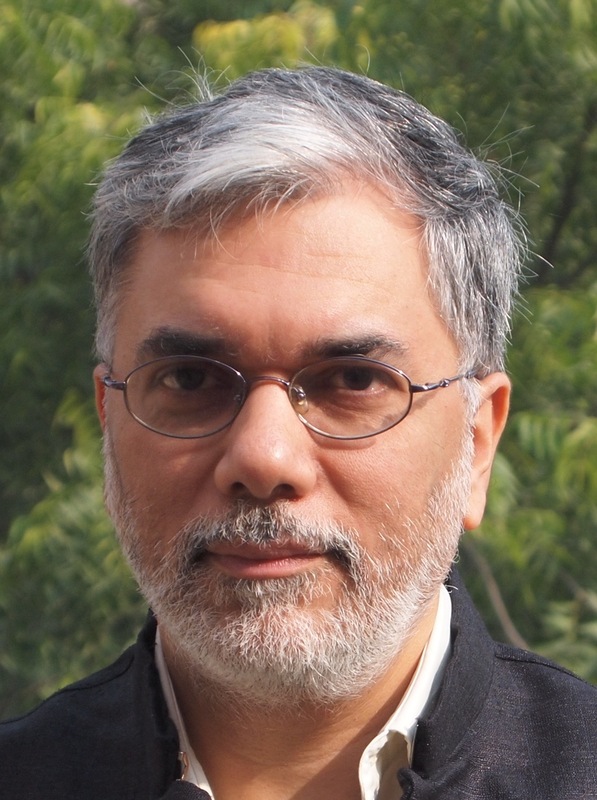 From the late 1990s onwards, a lot of people in India understood the universal applicability of the market design of the equity market, which uses a centralised limit order book with computerised order matching, open access for financial firms and for customers, and the elimination of counterparty credit risk at the clearing corporation. For historical reasons, this is not how the global bond market and currency market functions. London has 30% of the world's currency trading, and initial conditions matter greatly. But in India, starting from scratch, there is less of a burden of history, and it behooves us to think from first principles. Indeed, the only path to achieving competitiveness and breaking into the established world of international finance might be through innovation. I have always thought that if the order book market works for equities, it would work even better for bonds and currencies. The reason for this lies in the fact that the latter are a small number of macro underlyings. Order book markets are extremely good at aggregating large order flows on problems where there is low asymmetric information. Hence, if the equity market design works pretty well for 1000 equities, I think it'd work even better for 10 currencies and 50 government bonds (which is all that is needed with a well run DMO). The limit order book market doesn't work so well with a large number of small products with a lot of asymmetric information - but the government bond yield curve and currencies are just not like that. These issues were kicking around in the Indian debate from the late 1990s onwards, by which time the success of the equity market design was starkly visible. The viability of the equity market design was accentuated in the last five years by the rise of algorithmic trading. Covered interest parity arbitrage, currency triplets, yield curve arbitrage: all these are highly automatable strategies. The algorithmic traders will blow away the human dealers, and deliver very a high quality of market efficiency in the BCD Nexus once the key markets are on the exchange platform. These, and other, arguments in favour of the exchange platform are summarised at page 152 of the MIFC Report. With this backdrop, I saw a fascinating article Foreign Exchange Trading: New Trading Platforms Reshape Forex Marketplace by Will Acworth in Futures Industry magazine. It talks about new exchange-style trading platforms in the currency market. I find it particularly fascinating that Reuters - which has long milked the OTC currency market for all it's worth - is one of the pioneers in taking currency trading on exchange. This is incorrect. The first effort to do the central counterparty for a currency market - albeit an OTC market - was the Clearing Corporation of India Ltd. (CCIL). This was in 2002. CCIL was a great success story of Indian innovation - the idea of the clearing corporation was taken up from exchanges and applied to counterparty credit risk management on the OTC market. Unfortunately, India wasn't able to follow through on the achievement of setting up CCIL to harnessing the full benefits of CCIL, owing to deeper dysfunctionality in the BCD Nexus (see page 126 of the MIFC Report). Currency trading with CCIL as the central counterparty harnesses all the wonderful benefits of netting, reduced operational costs, etc. CCIL complies with the `Lamfalussy Standards' where it is accepted that when one person fails, after collateral is exhausted, some losses can fall on his counterparties. While these standards are well accepted, I'd much rather see the full blown risk management that's found in clearing corporations such as the National Securities Clearing Corporation (NSCC), where the clearing corporation is good to the last drop, where customers only face losses after the clearing corporation has gone bankrupt. Vinay, there is no MBA program in the world which does these things. Could you please explain BCD nexus in a more lucid language as to how the BCD market will help increase currency trading and removal of arbitrage if any? The BCD Nexus is described on page 76 to page 79 of the MIFC report. This a great article really this is what i was in need, it certainly makes a good point.